FAQ - How do TABLE TOP GAMES work? Table Top Games are specially written games that can be played by a small number of players. The easiest way to understand how a Table Top Game works is to look at the information below. 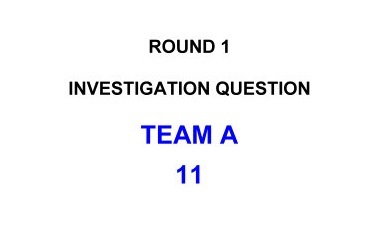 This describes how Round 1 of the Table Top version of "The Murder of Mrs Whyte" works. 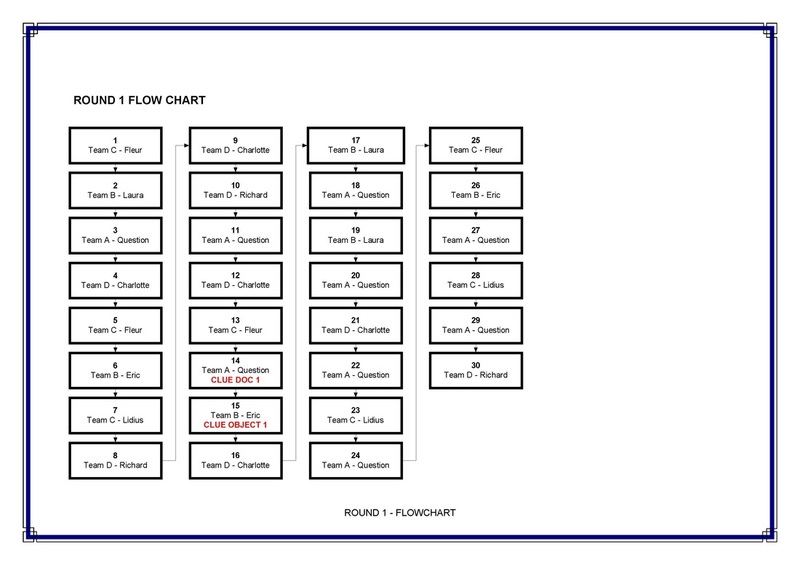 Each team will be sitting at one side of the table. 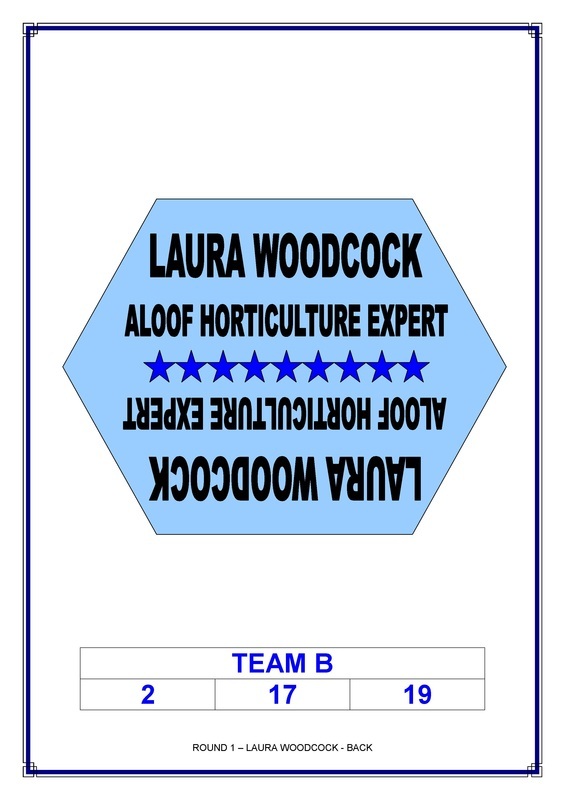 Each team will have a variety of components in front of them. There will also be some items in the centre of the table. Below you can see the components for Round 1 of the game. Clicking on an image will enlarge the component. 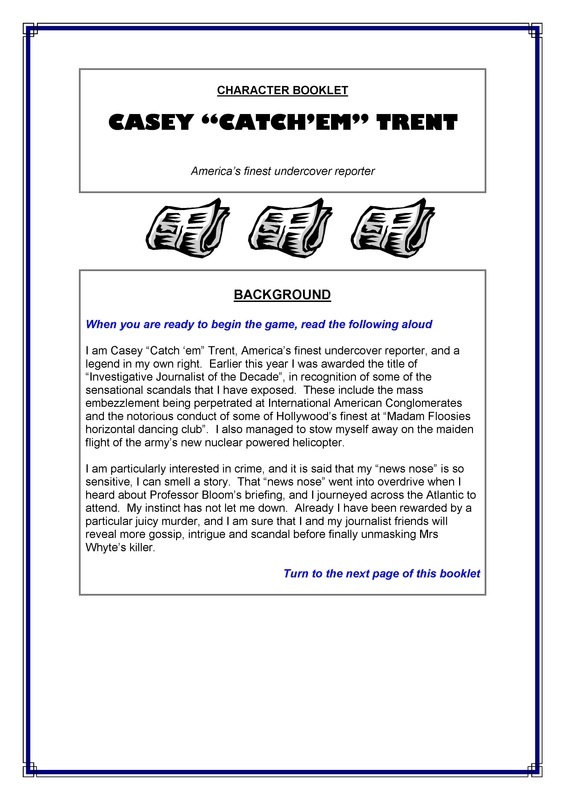 Team A have the Casey "Catch 'Em" Trent Instruction Booklet, a set of Investigation Questions, and a Round Flowchart. The latter is there in case anyone needs prompting. 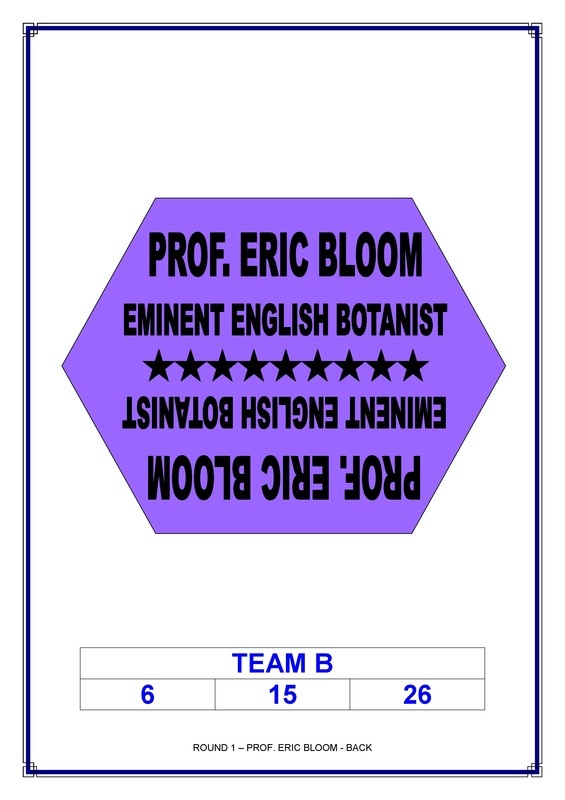 Team B have two character cards, one for suspect Laura Woodcock and one for suspect Professor Eric Bloom. 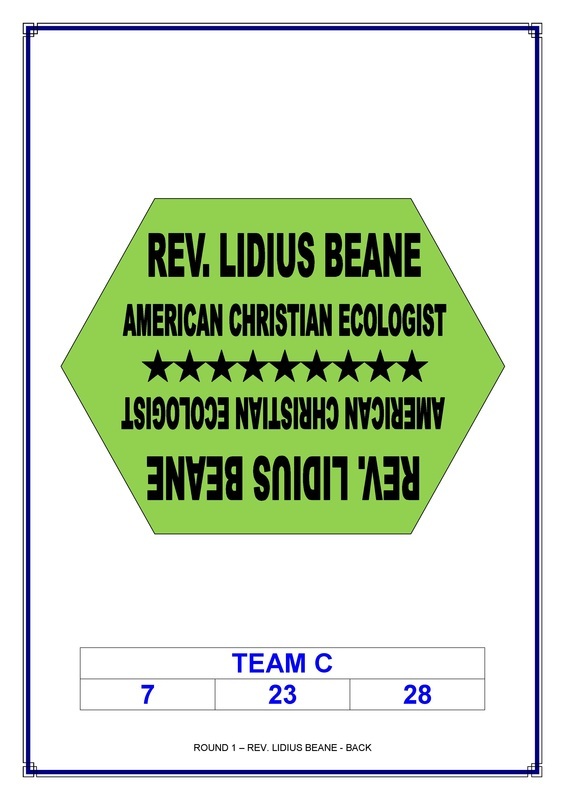 Team C have two character cards, one for suspect "The Reverend Lidius P Beane" and one for suspect Fleur Rouge. 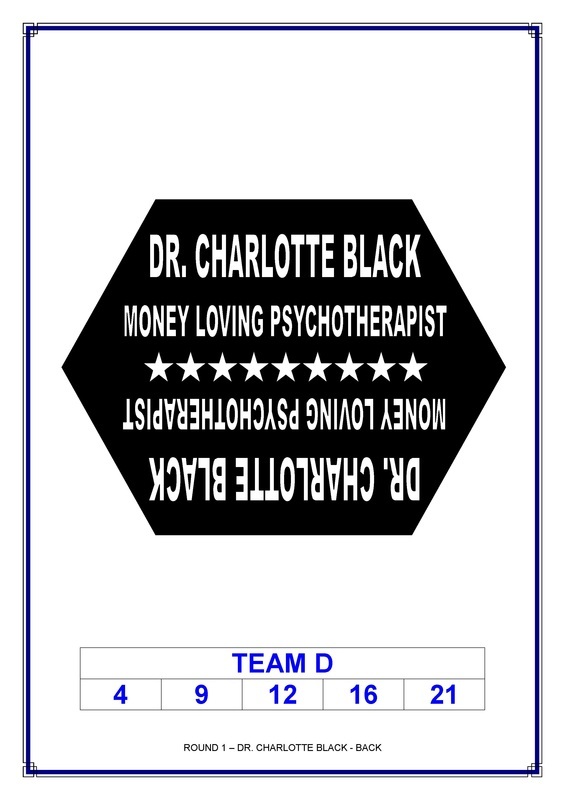 Team D have two character cards, one for suspect Richard Tarragon and one for suspect Dr Charlotte Black. Rather than have to listen for cues before revealing information, each item in a round bears a blue number. Items are performed in numerical order by the appropriate character. 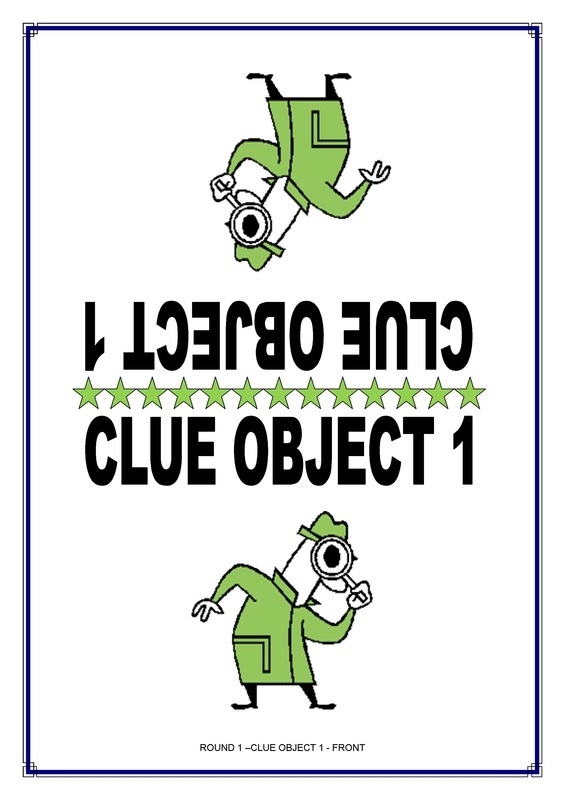 The question/answer/action that the character needs to ask/perform is on the reverse side of the card. Below you can see both the back and the front of Fleur Rouge's Round 1 suspect card. Fleur Rouge challenges Laura Woodcock about snooping in Dr Black's room. 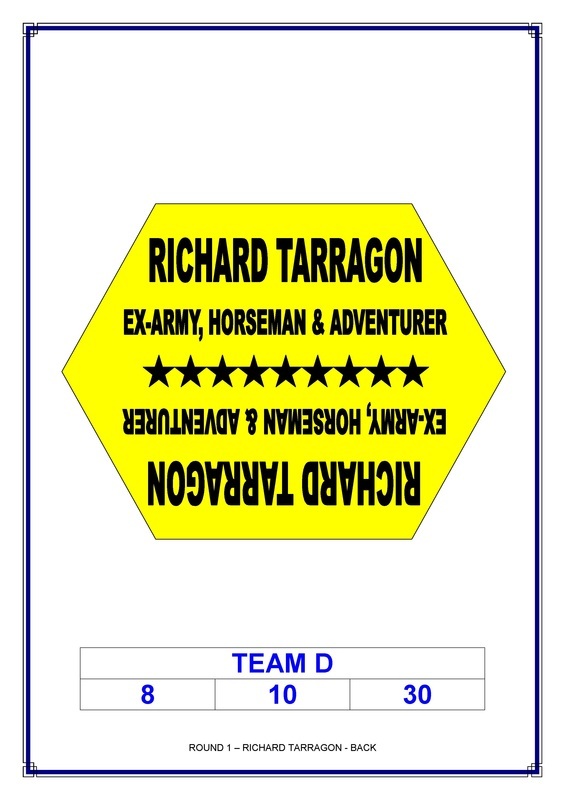 And so on until Richard Tarragon concludes the round with item 30. 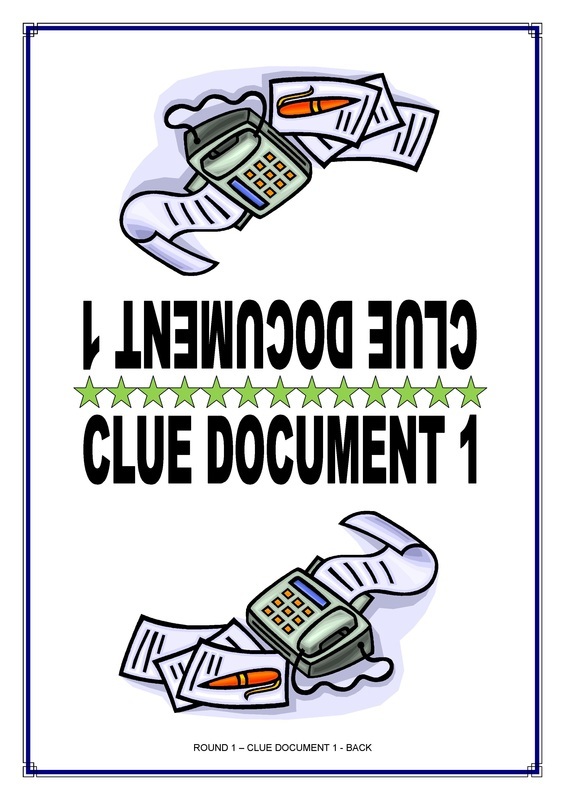 By this time all clue items in the centre of the table will have been turned over. 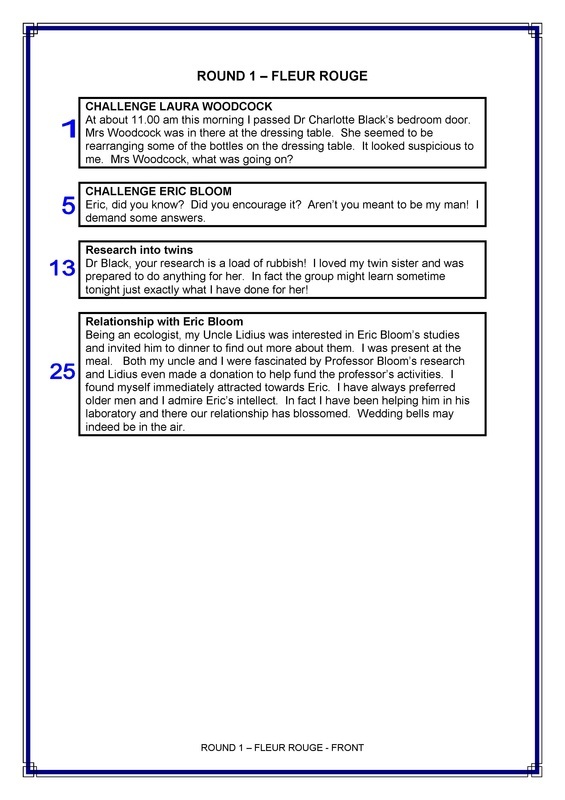 Rounds two, three and four would follow a similar format. After Round 4 each character has a "Protestation of Innocence" to read aloud. Then it is time for everyone to decide who committed the murder before Casey Trent reveals all in a dramatic denouement speech. Finally the player who has been voicing the murderer will read aloud the confession, explaining fully why they committed their crime. Please note that in Table Top games, the person voicing the part of the murderer will not know they are the murderer until the denoument speech is read. The game should take about three hours to play.